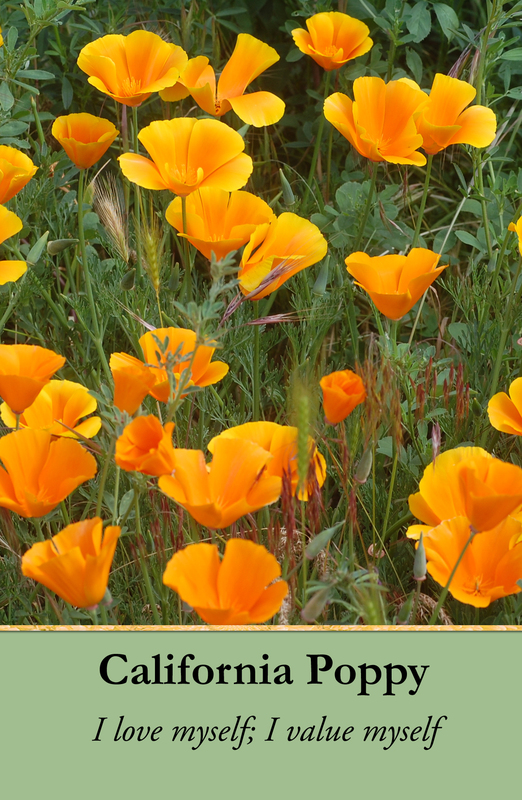 44 Flower Essences I created from wildflowers beginning in 2000 in Oregon and Washington. 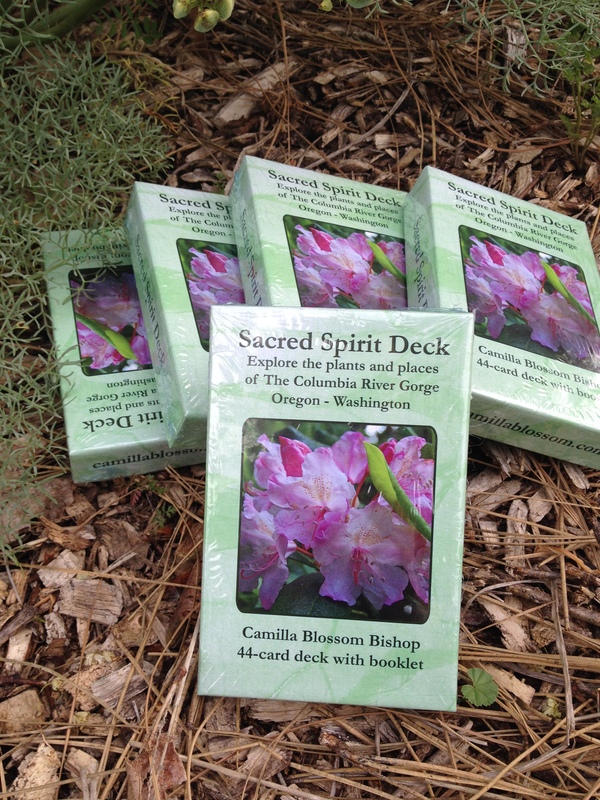 These are the 44 wildflowers featured in my Sacred Spirit Deck (photo) and book: Sacred Spirit of The Gorge Columbia River Gorge Flower Essences & Essences of Place. Sacred Spirit Kit of all 44 flower essences, a book, the cards is available as well. See below to purchase. 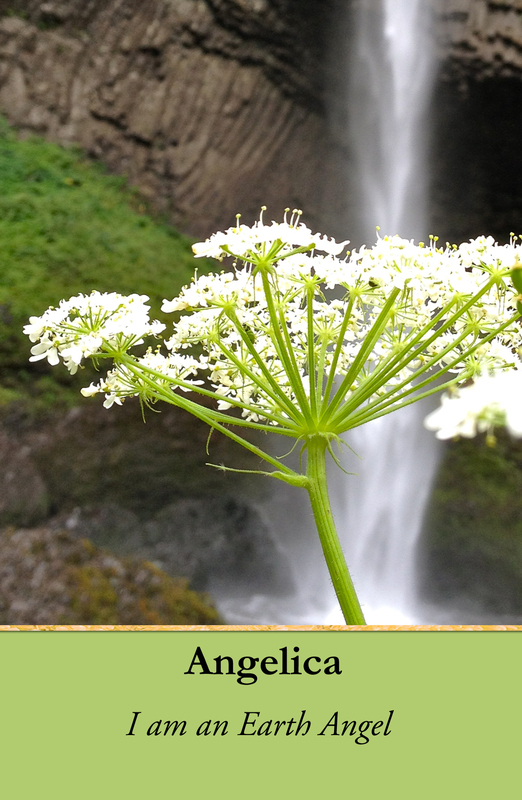 Angelica grows to reach the Heavens. Its spirit can help open an inner sense of spiritual or angelic light and help you know that you are protected and connected to spiritual assistance always. The ball-shaped flower-head blooms in all directions like an expanding mind. 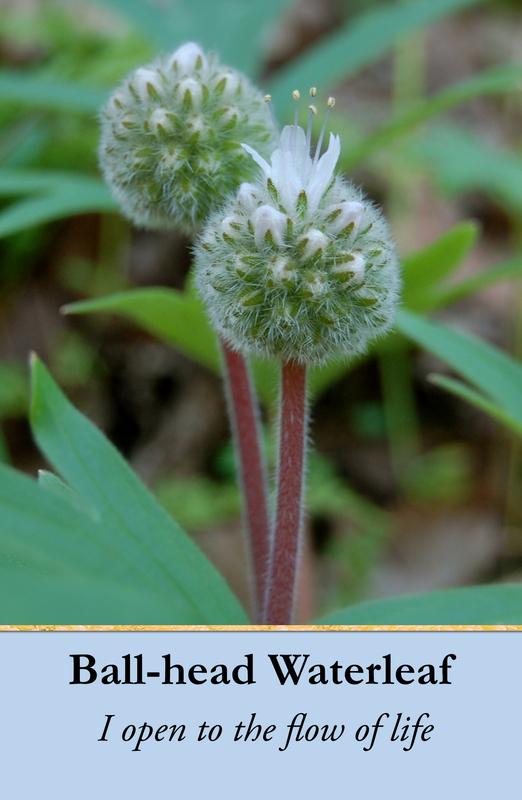 Ball-head Waterleaf stimulates the flow of energy in the crown of your head and activates the potential for new forms of inspiration. An elder plant, Balsamroot grows ten years before the flowers bloom and live 60-70 years. 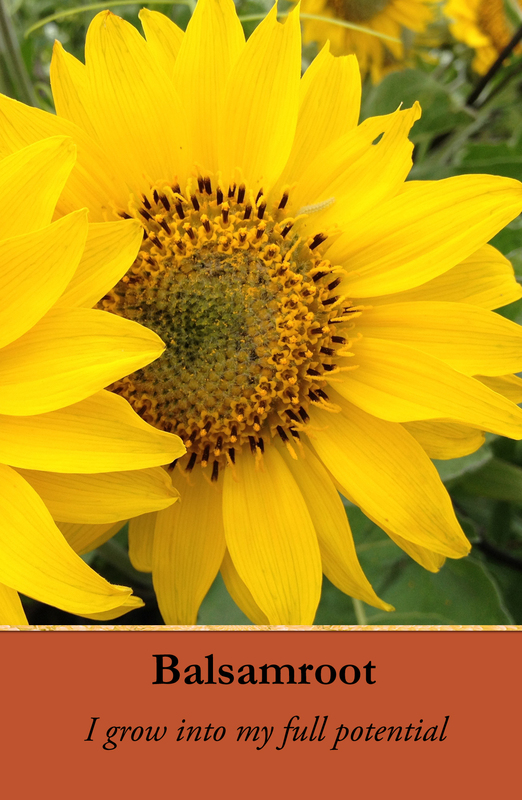 This radiant teacher plant shows you how to mature into your masculine (or inner-masculine) wisdom, patience, and deeply rooted leadership potential. Are you standing on the edge of a cliff getting ready to take a leap of faith? 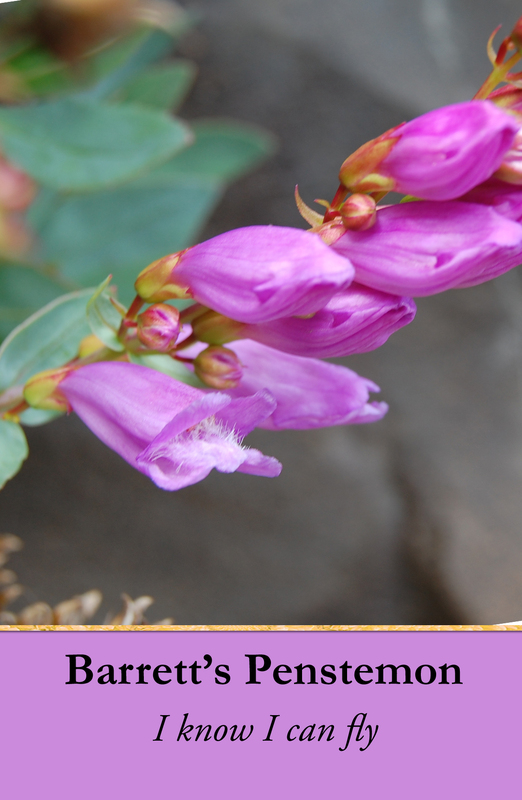 Barrett’s Penstemon will help you trust that you will land safely. Go ahead and take the leap. 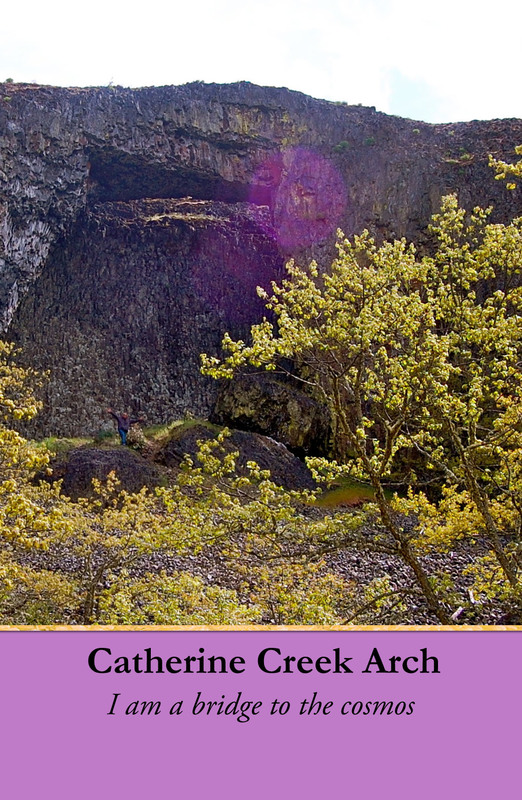 This wildflower grows high in the basalt cliffs of The Gorge and nowhere else on earth. 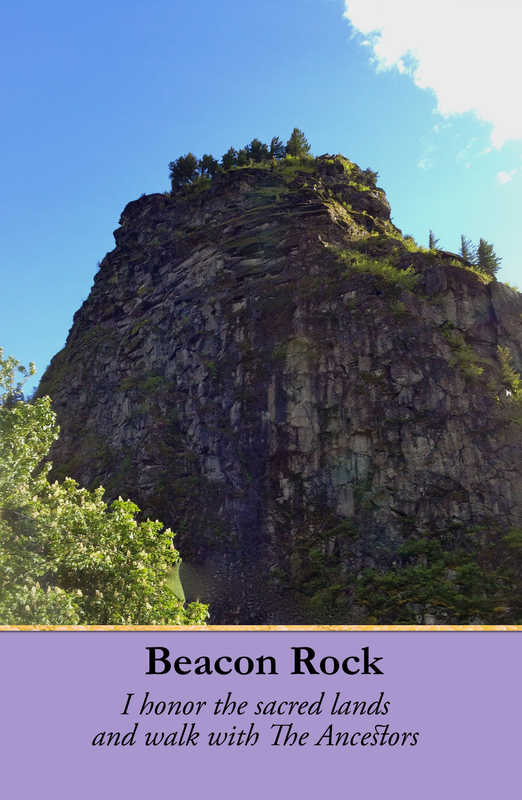 CalledChe Che op tin, navel of the world, Beacon Rock is a Native American gathering site. The spirits of the land welcome people to gather here, walk with them, and celebrate life. Walk with loving intention and you will feel a sense of belonging wherever you are. 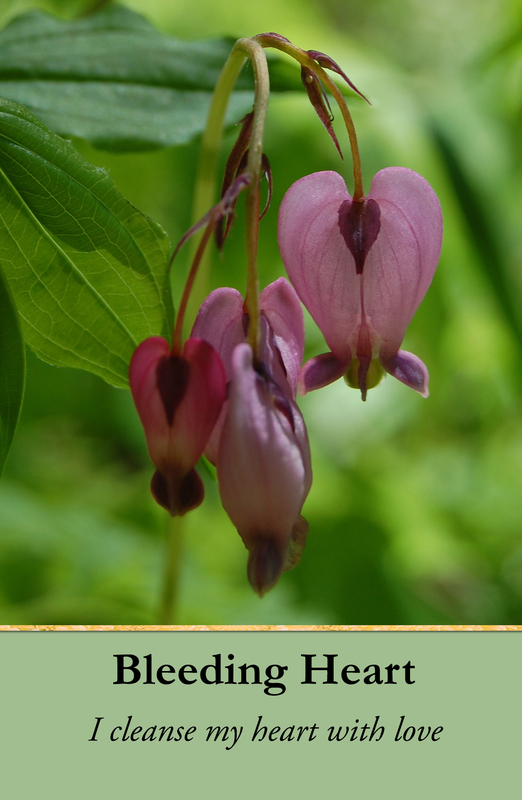 You’ll find the delicate heart-shaped flowers in the moist woods where the fairies hang out. This wildflower wants to remind you create an open space for unconditional love in your heart. Breathe in love to fill it up often. That way it’s easier to cope with the loss of loved ones, relationships, and old attachments. 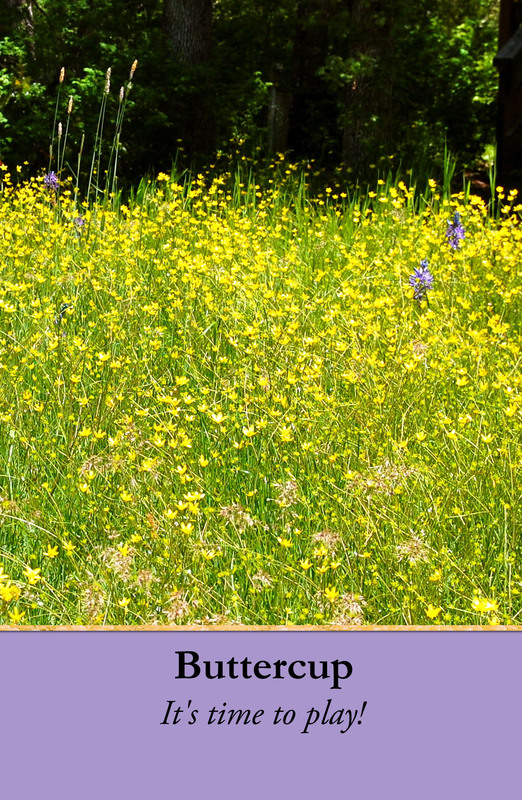 Buttercup petals are lustrous like sunshine. The fairies of Buttercup delight in expanding your ability to play and experience the sweet innocence and wonder of a precious, magical child. 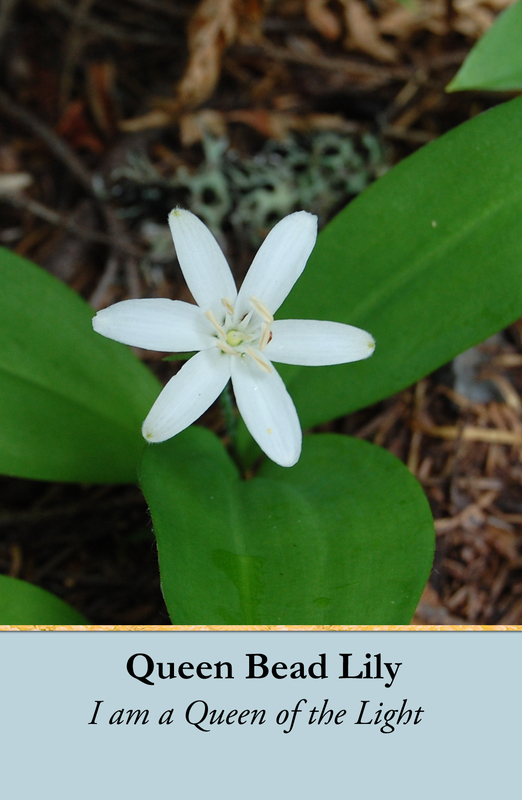 This wildflower expands your self-worth and capacity for fun. 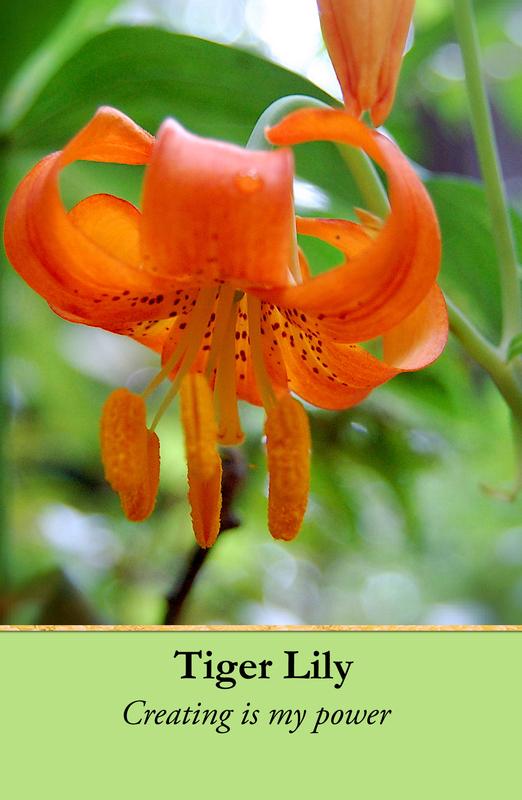 The vibrant, shiny orange flower spirits help you claim, own, and treasure your own inner-beauty, light, and gifts. There is no need to project your magnificence onto others. Appreciate yourself more and your self-value will grow. You are precious. 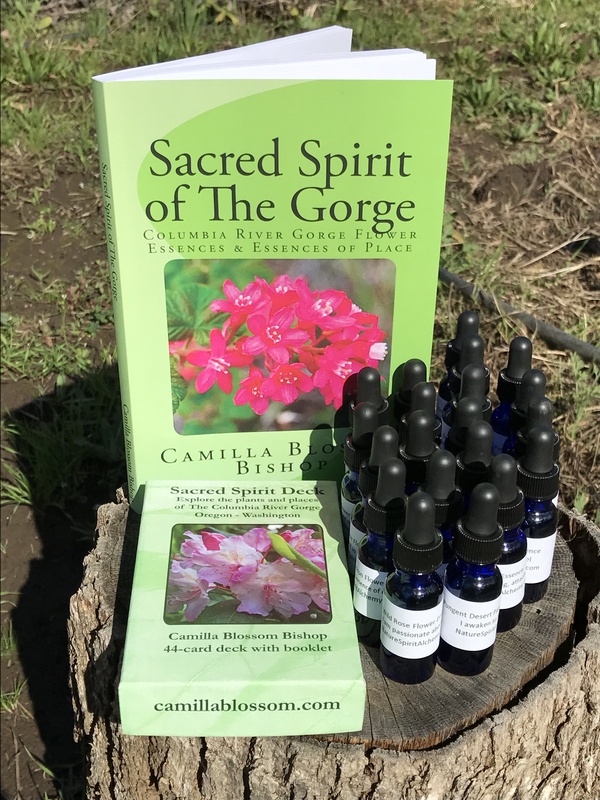 In making a flower essence of Camas, I had a vision of a large Native American chief spreading his arms wide to form a rainbow and speaking the affirmation above. 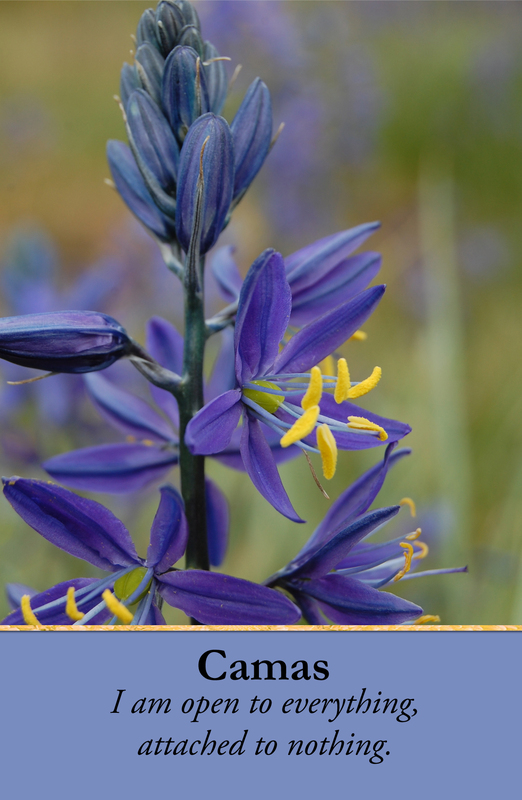 Camas blossoms mirror the quality of pure acceptance and appear like a serene sea of blue. The bulbs of the sacred Camas are gathered and eaten at Native American ceremonial feasts. This huge natural stone arch is also a bridge. Set against a basalt backdrop, this sacred site acts as a multidimensional portal connecting cosmic and earth consciousness. It opens a doorway to the Star Nations and transformative shamanic journeys. Respect the power of this place. It can help you remember your true origins. 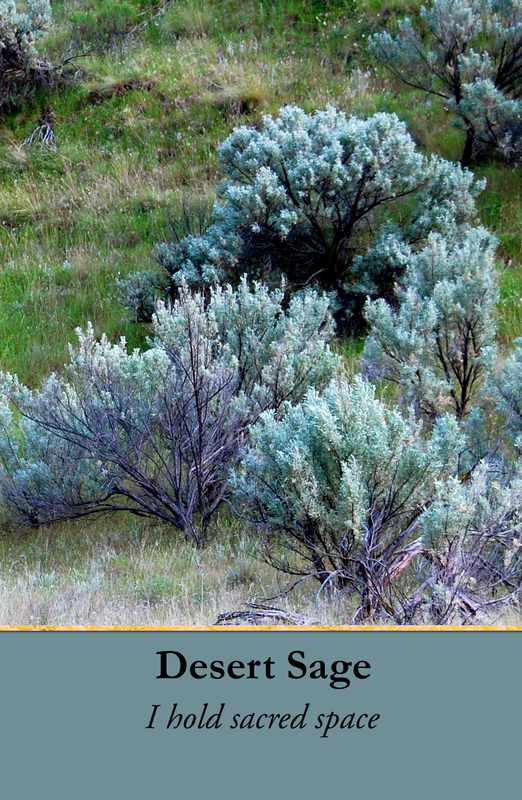 Desert Sage or Sagebrush is gathered and dried in a sacred manner and used in medicine pouches and bundles, ceremony, and burned as smudge before ceremony to cleanse the energy of space, people, and to honor the holy ones. The plant’s powerful cleansing and protective medicine can be experienced when you crush the highly aromatic leaves and smell them. Create sacred space for yourself with the spirit of Desert Sage. New paths and travels await you. Slip on a pair of fairy slippers and enter the hidden realms of Fairyland for a joyful excursion into your creative imagination. The spirit of the wildflower will help you go to new places… and find your way if you get lost. Pure white or pale purple fairy hats line foxglove’s stalk. 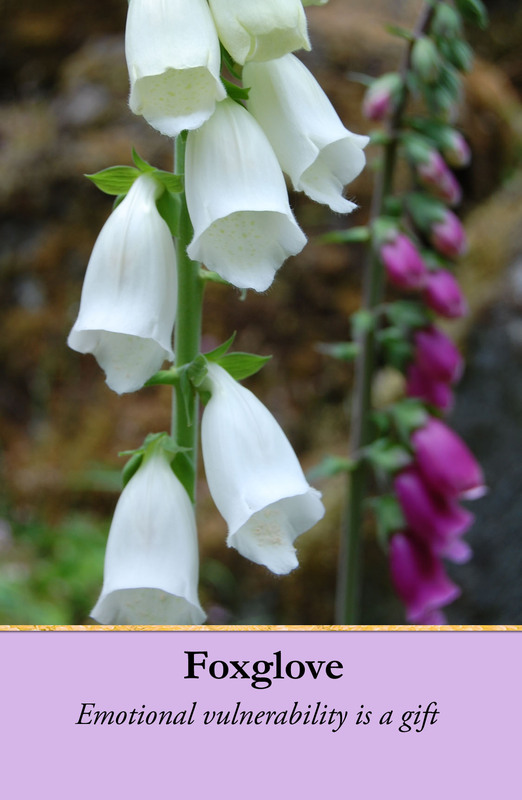 Foxglove opens new chambers of the heart and can activate emotional honesty. This plant is used for medical heart patients to re-start their hearts. Does your heart need a jolt from the Foxglove fairies to wake you up right now to a greater capacity for emotional expression? 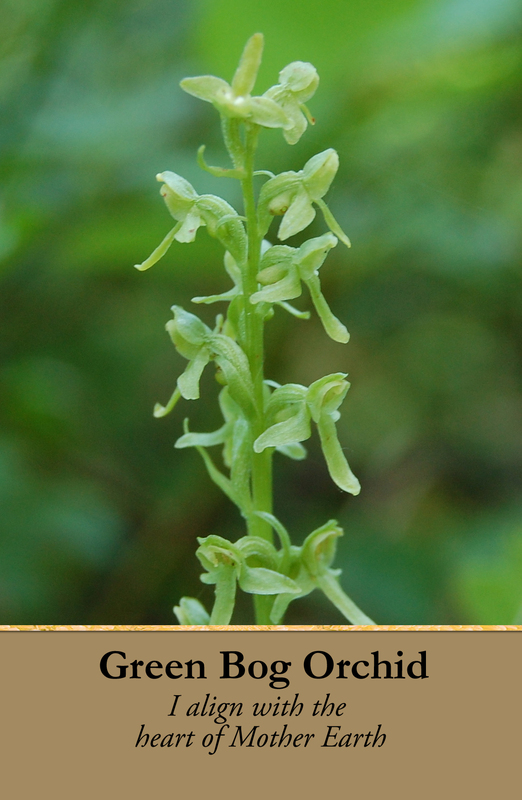 This potent green wild orchid expands your capacity to feel love and receive the constant supply of nourishment from the earth. Green flowers are precious finds in nature as they harmonize the heart, awaken communication with the nature spirits, and inspire creativity. Green Bog Orchid grounds your heart into Mother Earth’s heart. 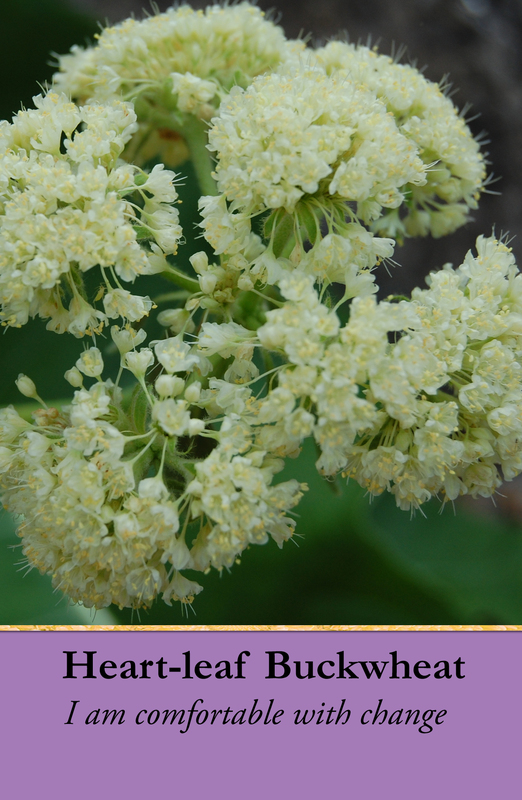 The colorful flower Deva of the Heart-leaf Buckwheat whispered to me: “We are comfort food for the light body.” They remind you that it is best to relax, feel comforted, and go with the change, transition, and new life. Ask them to assist you when you feel out of control. Fairies of the Larkspur flower love to sing. The buds look like musical notes dancing in the sky. They want you to sing your heart’s song. 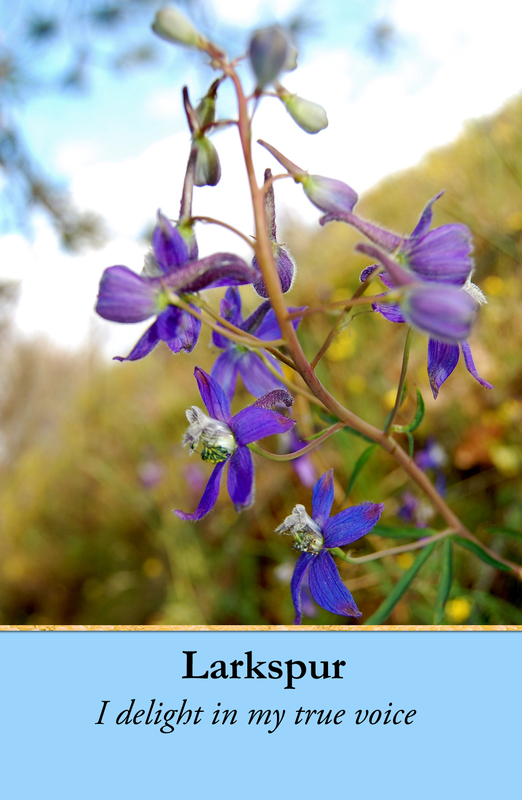 Larkspur can lead you to de-light if you follow new paths of communication and unleash your creative expression. Numerous delightfully and sweetly fragrant white blossoms spill from this unique small tree. 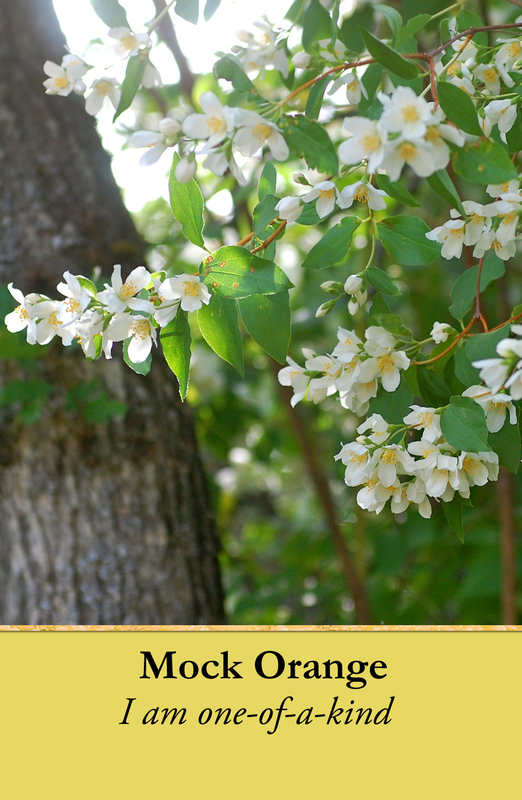 Mock Orange may seem like a wanna-be Orange Blossom, yet she teaches that there is no need to aspire to be like another when your originality is a gift to the world. 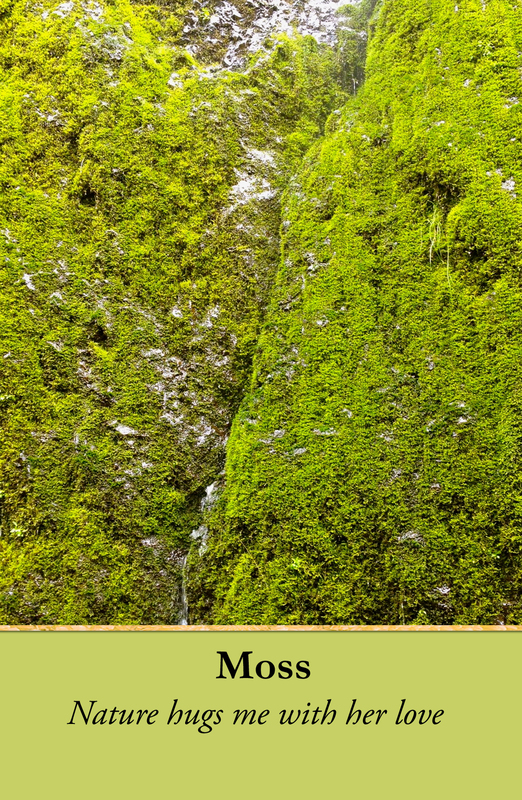 Moss hugs the earth, trees, stones, and your own body like a calming protective energy buffer—insulating you from life’s intensities. Let its water seep into your skin to receive the deep cellular nourishment of mossious light and love. Make space for renewal… preferably a moss bed. The mountain spirit holds high altitude divine consciousness and anchors it back on earth for grounding and stabilization. This mountain is quite young and active—a catalyst. I had a vision from high on Mt. Hood of many points of light or flowers. As each flower grew in power, its light radiated out more and more. All flowers of light connected together to form a grid. The grid was growing brighter and brighter with more and more flowers lighting up the planet. Align with the mountain to blossom with light. 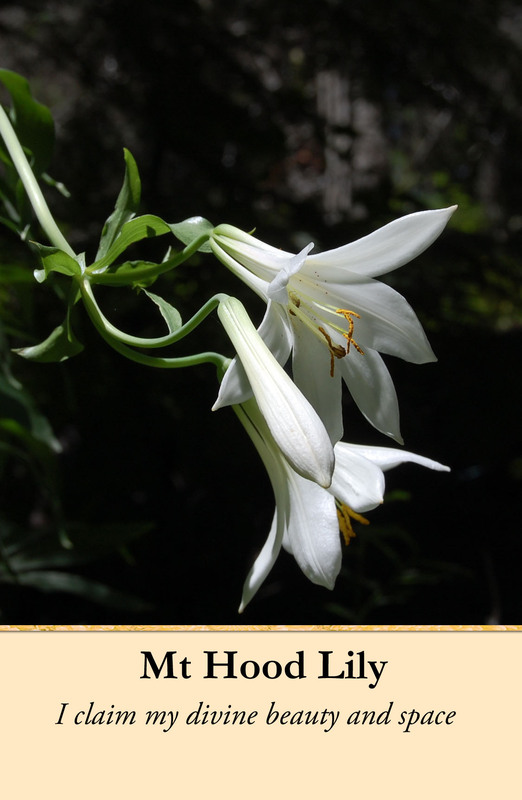 This pure white wild lily knows how to take up space and claim her full beauty and worth. 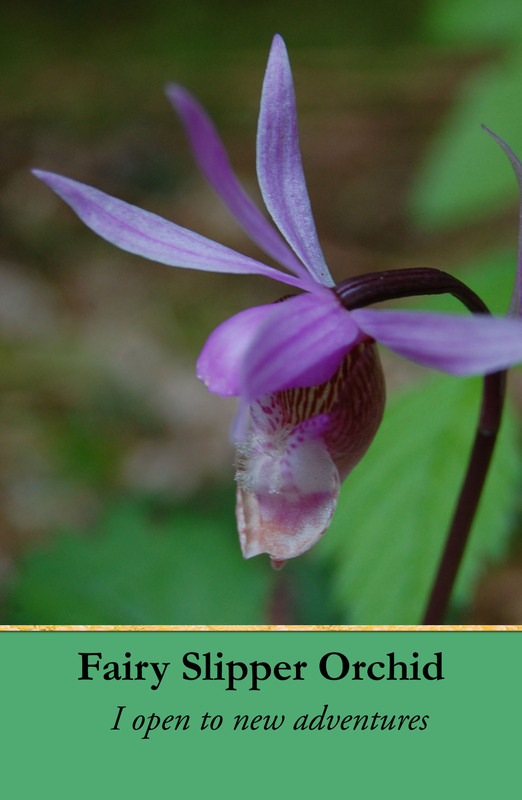 Her tall height and delicious fragrance surprise many who find her in the forest. She reminds you to align with your pure divine essence and live large from this place. Claim sacred creative space for yourself. Lots of it! Are you willing to sit with Mullein and listen to your own higher guidance? This plant can help you align with the cycles of your own personal power. The plant grows fuzzy soft petals the first year and a tall, strong flowering stalk the second year. 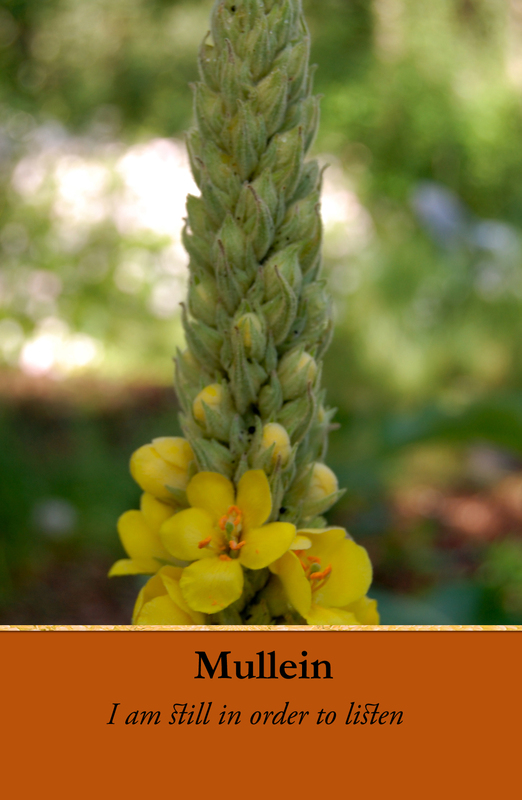 Mullein can balance yin and yang, help your honor the breath, and support community endeavors especially if everyone calls on the plant for assistance. 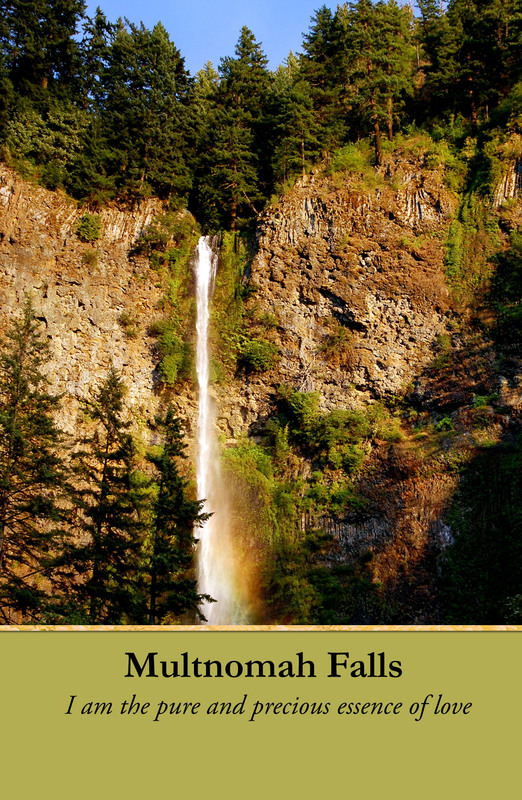 People travel from all over the world to see Multnomah Falls because of its height, beauty, and mystique. The waterfall occupies the place of Mother waterfall for the region as she envelopes all in her love and care. Your gratitude honors water’s eternally giving nature and helps the spirit of Multnomah Falls purify, bless, and cleanse the land. These flowers spray their foaming sweet blossoms like waves in the wind. 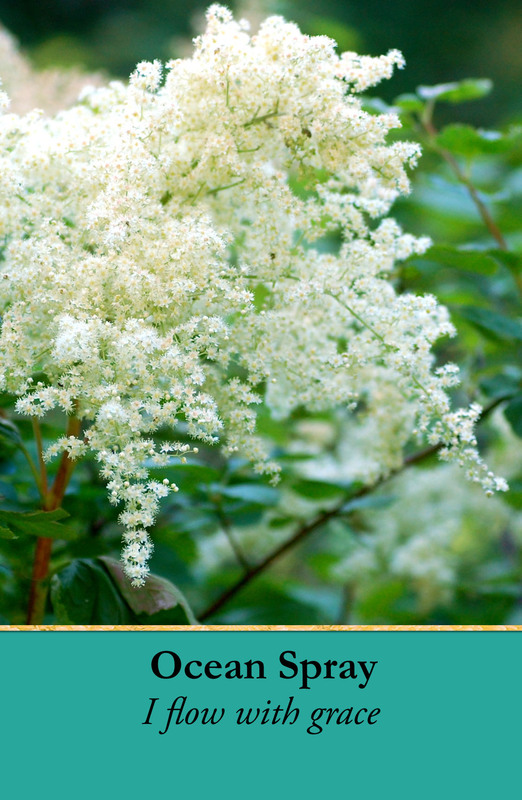 The energy of Ocean Spray is like a Goddess that answers to the rhythm of nature to balance the flow of your feminine (or inner-feminine) cycles. Ask the flower spirit to align you with healthy natural rhythms and cycles so everything can flow with ease. 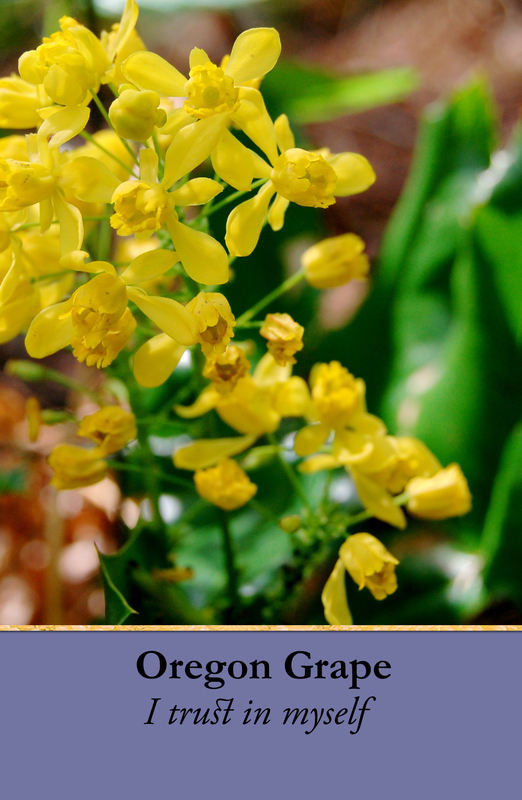 The barbed leaves of Oregon Grape are prickly like holly, the berries are mouth-puckering sour and tart, yet the yellow blossoms are so sweetly scented and appear so trusting, vulnerable, and undefended. The state flower of Oregon populates wide areas in The Columbia River Gorge. You’ll never feel lonely if you befriend this plant. Lean against an Oregon Oak tree to remember the need to yield to the strength of others at times. 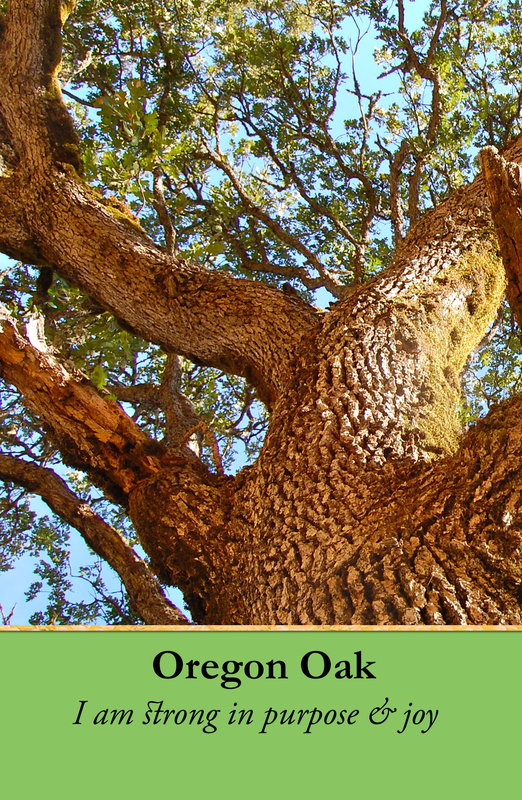 The Oregon Oak supports a great number of beings in its branches. If you support many others, you may see yourself in the Oregon Oak. If you feel joy, then this is your purpose. If not, then lean into the Oak. 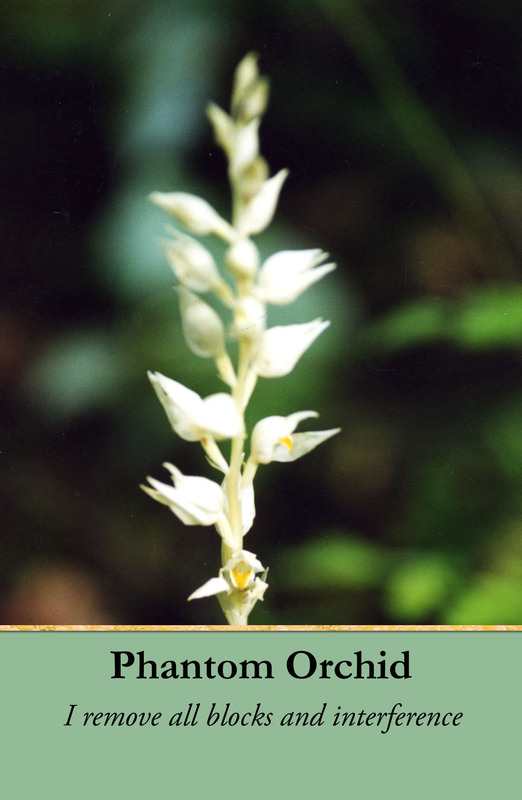 The pure white Phantom Orchid appears as if it is a lantern shining brightly in the dark forest. One word came from its lips: illusion. The lantern lights the way towards Truth… if you are willing. This beautiful flower points downward to the earth. The healing signature of downward pointing plants represents embodiment issues. The wildflower points to where you landed, where you belong, your home. 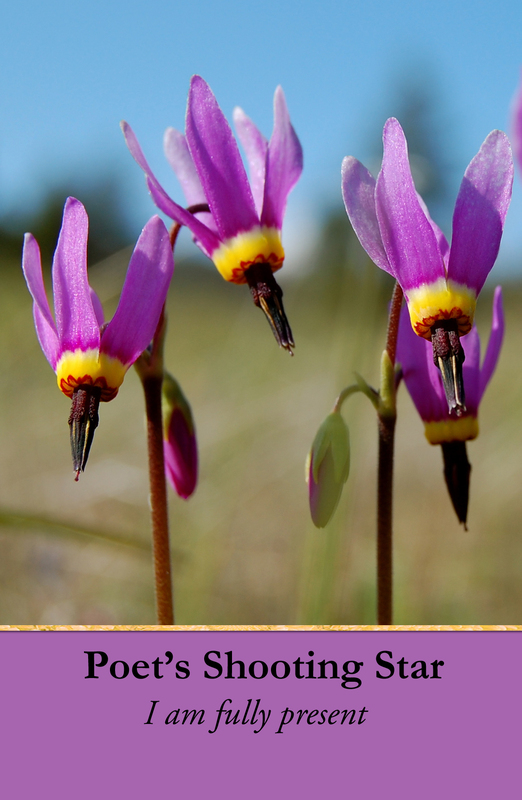 Poet’s Shooting Star helps you bring your full attention and focus into being here, now, in your body. Tall and silent guardians of The Gorge thrive in the heat and fire of the sun. 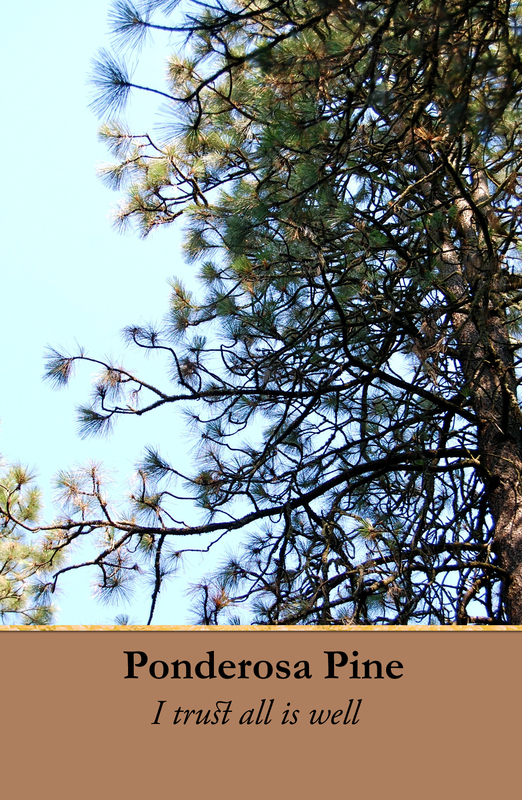 Ponderosa Pine offers a deep-felt sense of innocence, peace, and trust in life. They hold a gentle, caring power. The bark smells like vanilla and appears as puzzle pieces. When it’s time for the pieces of your life to come together, sit with this tree. The pungent scent of this wildflower wakes the senses and warms the body. 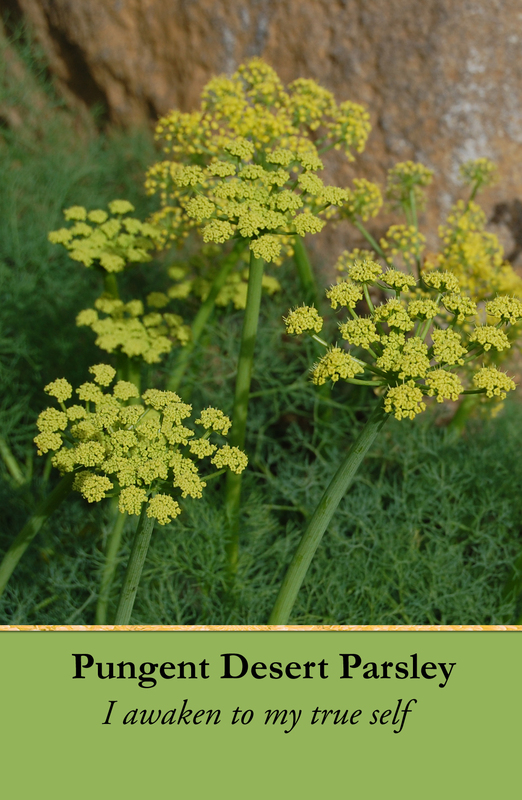 Pungent Desert Parsley asks you to open your sensitivity as if you had antenna. Use this form of sensing to discover your world anew. What signals are you picking up? The Queen holds the power of purification for the feminine body, emotions, and Soul. Let her deep compassion and grace model a new form of power steeped in love, kindness, and truth. Follow her path of light through the forest on full moon nights to awaken your inner-Queen. Let the moon reflect your beauty. too. Receiving what you truly want is your birthright. Nature wants you to fulfill your desires too. Your will is Divine will. 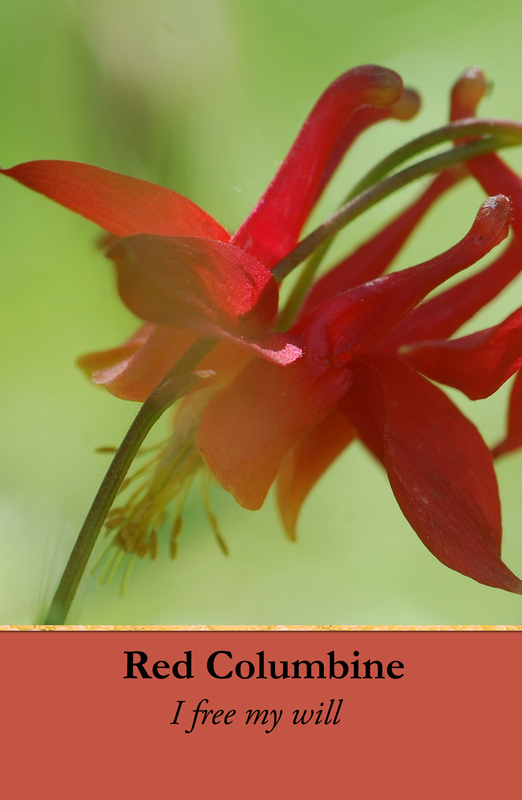 Red Columbine helps you act from a place of knowing that you have the ability and confidence to create what you want and live out your dreams. Be calm, relaxed, and rooted in your foundation. Know that you are fully supported. You don’t have to try so hard. From this knowing springs forth a sense of inner courage. 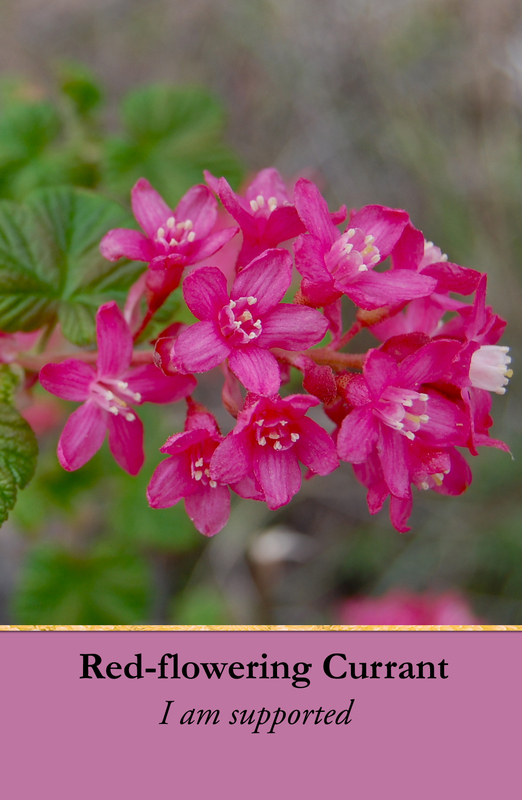 This plant gave me a vision of a Native American woman with Red-flowering Currant in her hand. She held the red blossoms over a baby’s lower back with loving care. Dance with the purple Goddess as she offers you mental clarity and new forms of expression and communication. 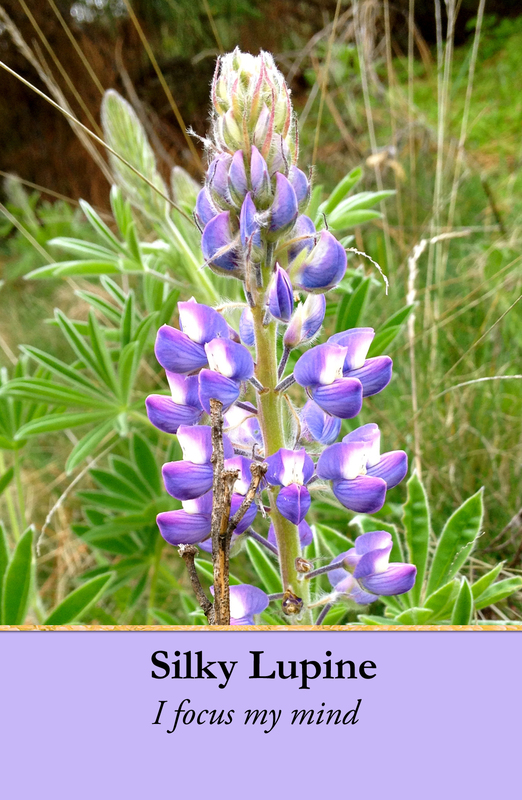 Silky Lupine teaches non-verbal communication. Allow her to assist you in focusing and clearing the mind for meditation, channeling, and relating with mindfulness. 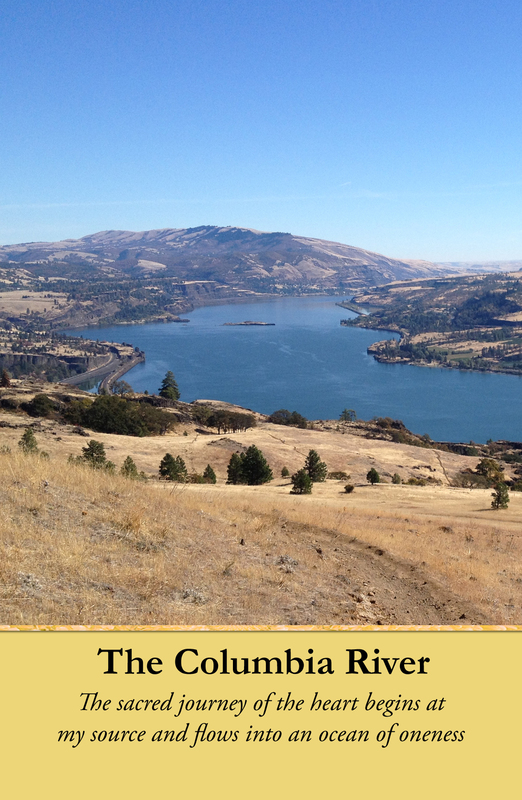 The Columbia River is a major artery of life-sustaining water for the planet and one of the few major rivers that runs East-West. Its source waters are in British Columbia, Canada and it flows and connects with hundreds of tributaries in Washington, Idaho, Oregon including the Snake River before it reaches the ocean. Thousands of salmon make the journey from birthplace to ocean and ultimately return home. When you bless the source-waters, your offering flows all the way to the sea. 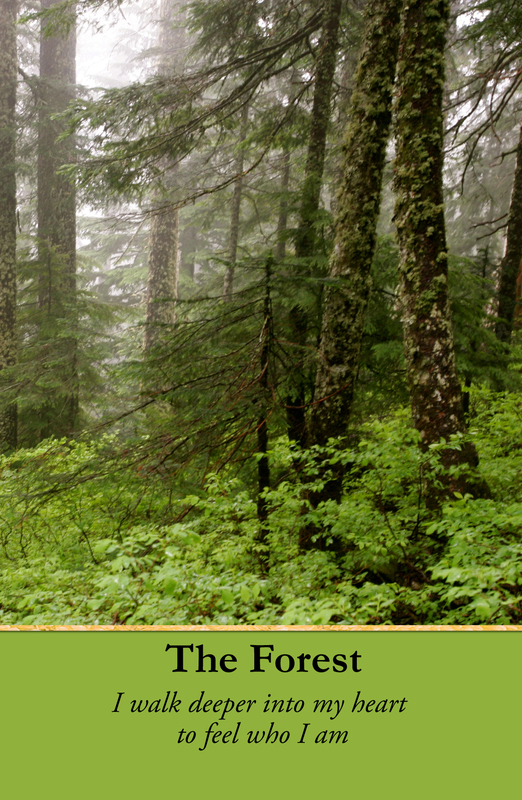 The Forest is a sacred place for spiritual connection, healing, beauty, and a greater sense of your true self. Enter The Forest and breathe deeply. Allow yourself to feel at peace. Walk from your heart-center to attune to the language of nature and commune with the forest beings. Who are you now? The energy of a wild tiger merges with a gentle feminine lily to unleash the power of creation. Tap into your potent capacity for infinite expression. Fuel your life-force with wild abandon. This wildflower wants to be heard. “Create!” Tiger Lily shouts! 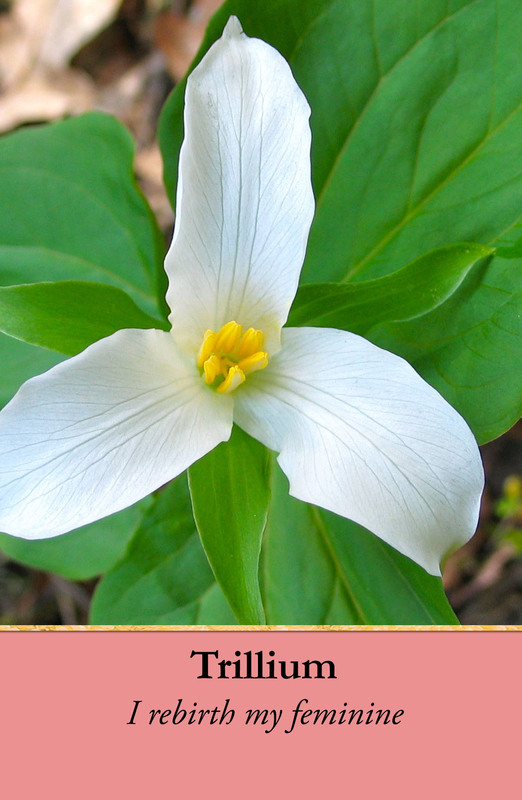 Trillium is the midwife’s flower to support and assist all forms of birthing or re-birthing, because when the process begins there is no going back. The wildflowers purity, compassion, and strength of purpose are empowering. The healing signature of three petals and three leaves represents the power of Creation. This trail invites you on a journey into the magical, ancestral, and elemental realms of nature. 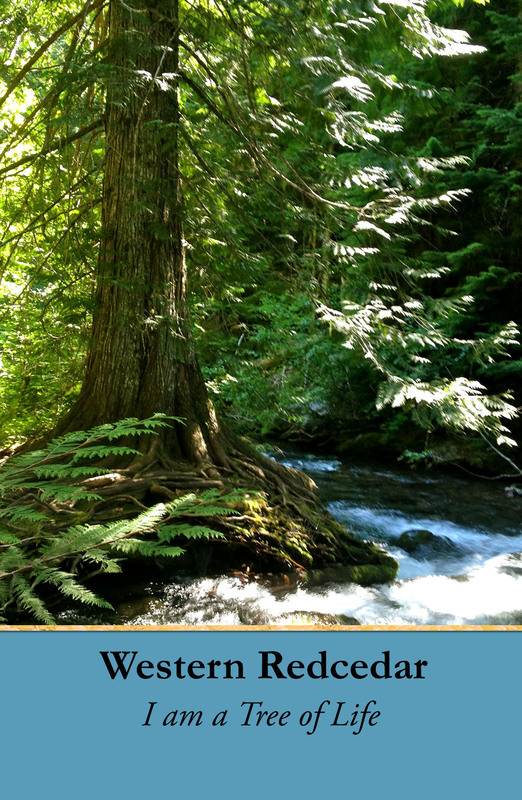 Walk with the spirit of the wildflowers, Western Redcedar, waterfalls, a singing river, and massive moss-covered stone beings. The fairies, devas, gnomes, and water spirits alight around the sacred caves of Mother Earth’s body. 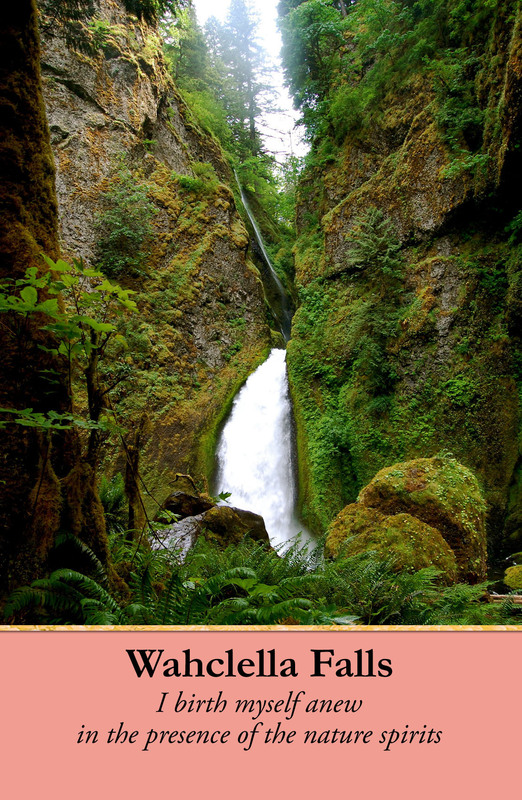 Wahclella Falls is a Temple of Nature for the waters of your heart. 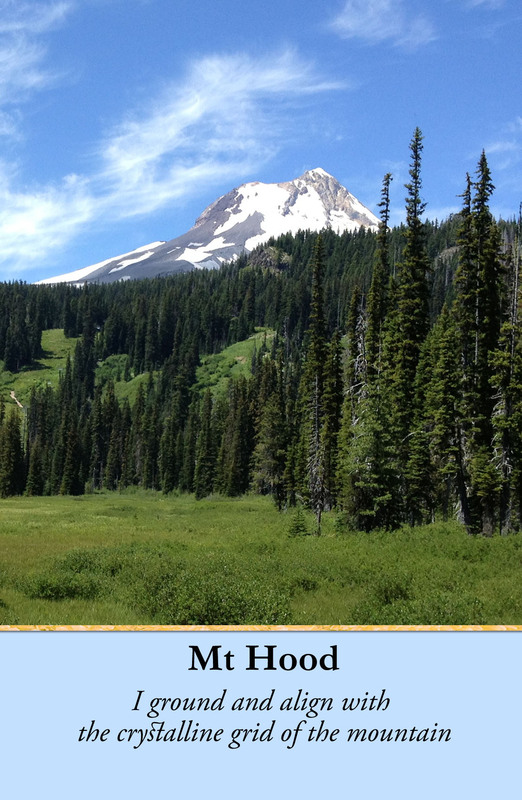 The Tree of Life for the Pacific Northwest is honored for its food, medicine, shelter, transportation, and endless giving. Its wisdom is deep and ancient. Now, it is time to activate your energy like the Tree of Life—to become a conduit between heaven and earth as well. Your connection to earth and the heavens grants you full access to the wisdom of your ancestors and the ancient ones. When burned ceremonially, Cedar is purifying and healing. 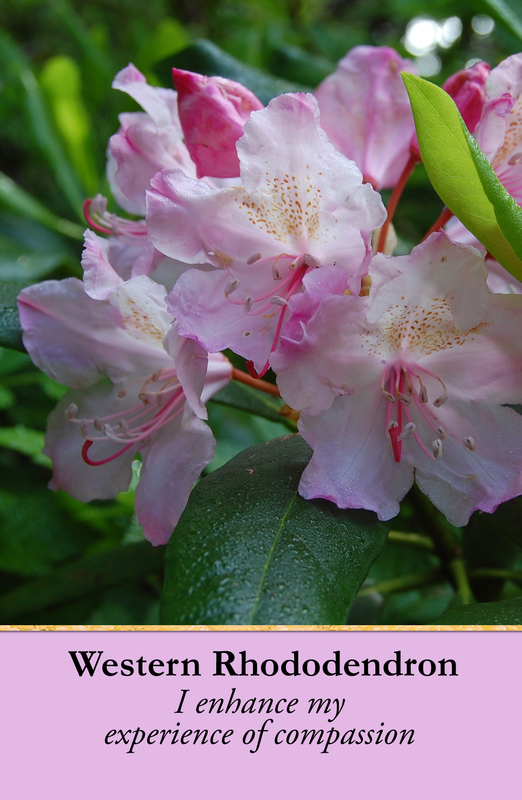 A delightful surprise awaits you when you enter the dark forest where the wild Rhododendron flowers bloom. A shock of huge, pink, luscious blossoms color the woods with beauty and love. Dance in a circle around them—a dance of love and compassion for yourself. One of the biggest dam-release projects in history restored the lower section of the river after almost 100 years. The salmon quickly returned. 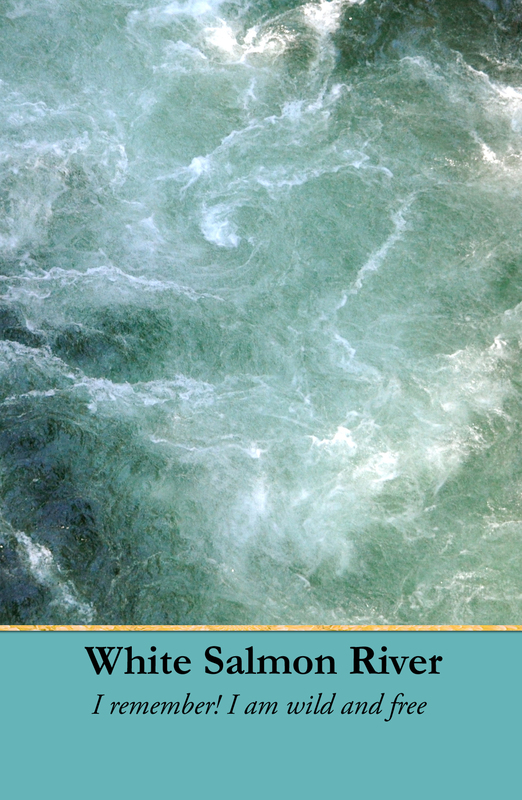 The White Salmon River reminds you that full sovereignty belongs to every being: a river, a mermaid, ferns, salmon, and yourself. This gentle pink healer can help you open to more joy. 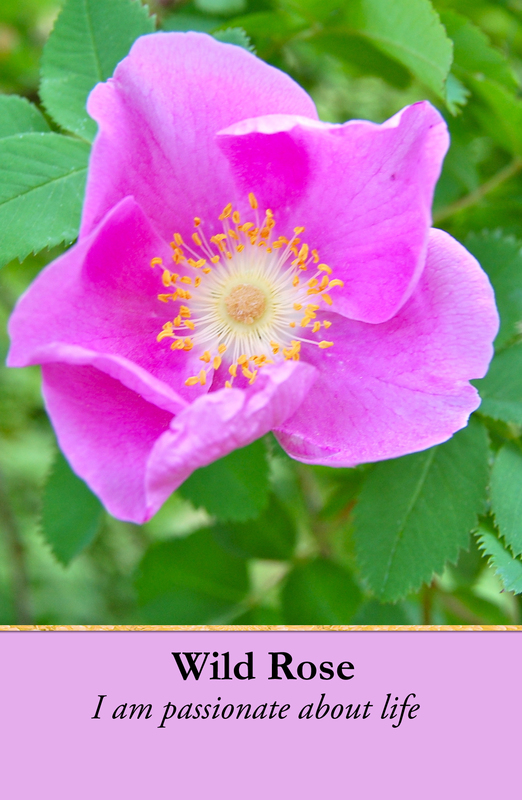 Wild rose renews a tender heart and helps you repair, restore, and re-balance your nervous system. Let the sweet smell of Wild Rose activate your blossoming process. The flexible, fluid, and forgiving nature of Willow weaves beautiful, purposeful baskets to carry treasures of the earth. 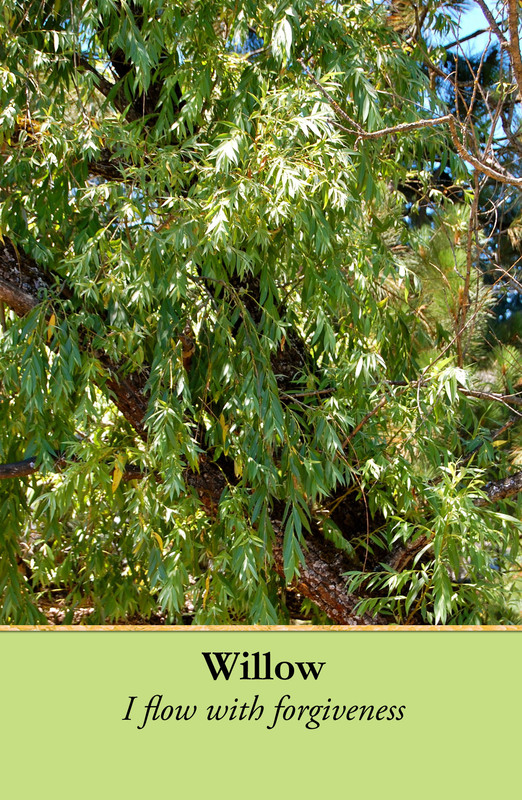 Native American Grandmothers sing The Willow Song and ask what kind of basket the particular tree or branch wants to become. The Spirit of Willow tells them. 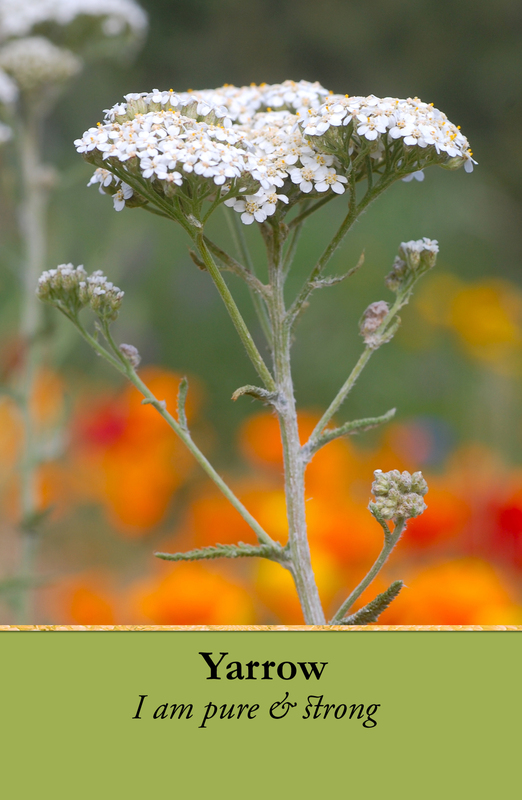 Yarrow weaves a protective shield of white light within your aura to enhance your life-force energy, boundaries, and immunity. The plant can assist healers and those who like to help and nurture others. You can tell the plant is Yarrow by its feathery leaves and bitter scent. We are going through a transition with our shopping cart. To place an order, please email me at camillablossom1111 @ gmail.com with your order. You can use the BUY NOW button below to pay. Thank you for your patience. Enter the names of the flower essences, book, cards, kit and fill in $ amount when you check out. Please allow 1-3 weeks delivery. Free shipping in USA.